Yes, that is all I am going to give you for the synopsis of this one. “Why?” you may ask. Well, my answer to said question is that I want you to figure out what this book is all about by yourself. I know; how can I be so mean? I have to say that The Hunger Games Trilogy is now among one of my favorite series. The first two books were amazing and Mockingjay is no less than that. It seems by ratings on different sites, that this one is the less liked out of the three due to how dark and full of death it is. Come on everyone, this is a war book. There is bound to be a few deaths here and there. Okay, maybe “a few” is an understatement. But again, it is a war book. People die in war. There are also people who think that Katniss did not seem like herself and I do agree with them, but I do not agree that was a bad thing. What with everything that happened in the first two books, Katniss should be different than the Katniss we met before this one. It only makes sense. This is an amazing book– and an amazing trilogy– and people need to read it. The story line was quickly paced and the action was epic. And as with the other books, I love the way that Collins uses Katniss’ first person viewpoint. If she did not use this, we would not be able to comprehend what she was thinking and what motivated her to do something towards the end of the novel that will leave readers with their jaws wide open and gaping in disbelief. 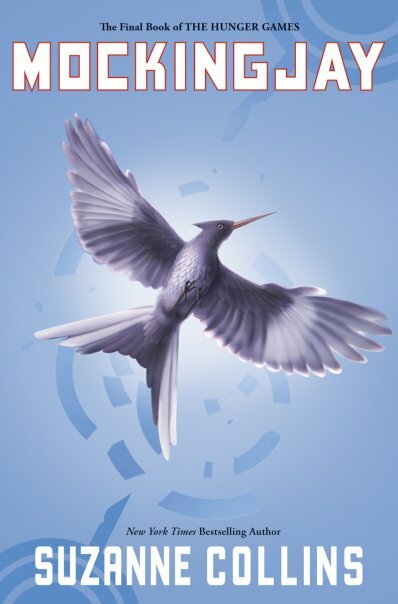 Read Mockingjay if you have read the first two books, The Hunger Games and Catching fire. If you have not read them, well there is one thing to say: Read them! I read these books and LOVED them! I think they were really well written, but the ending seemed a bit cut off. Have you done any reviews for Zondervan? Me too! I think the ending was great but I do see what you are talking about. Yay! I’ve only done one early review for them so far. I’m supposed to be getting another but their mailing is really slow.